Plain, flat base with sharp transition to wall. Slight flaring lower body. Light brush marks and turning marks on interior surface. All surfaces are reddish-brown, slightly lighter than fabric. Granular fabric with rare medium to large angular light inclusions, other tiny bits, occasional mica; several small surface voids. 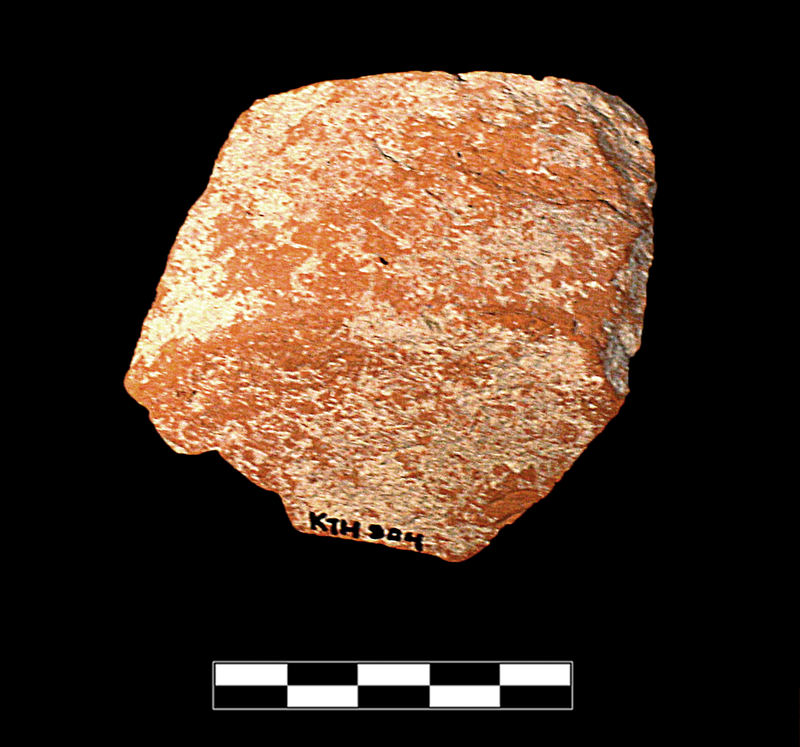 One sherd preserves ca. 15% of base and lower wall. Slight erosion of fabric; moderate, extensive abrasion and chipping and surfaces and edges; slight, extensive film of encrustation.